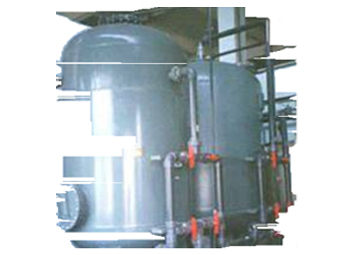 Activated Carbon Filter is used to adsorb chlorine, organics, tri-halo methane (THM), taste, odor, and color from Water & Wastewater. Activated carbon is a charcoal that has been treated with oxygen to open up millions of tiny pores between the carbon atoms. Active charcoal carbon filters are most effective at removing chlorine, sediment, volatile organic compounds (VOC), taste and odor from water. KARYASIDDHI offers Activated Carbon Filters tailored to your environmental needs. These filters are available in FRP, SS and MS. The product is designed for durability, simple installation and reliable performance.